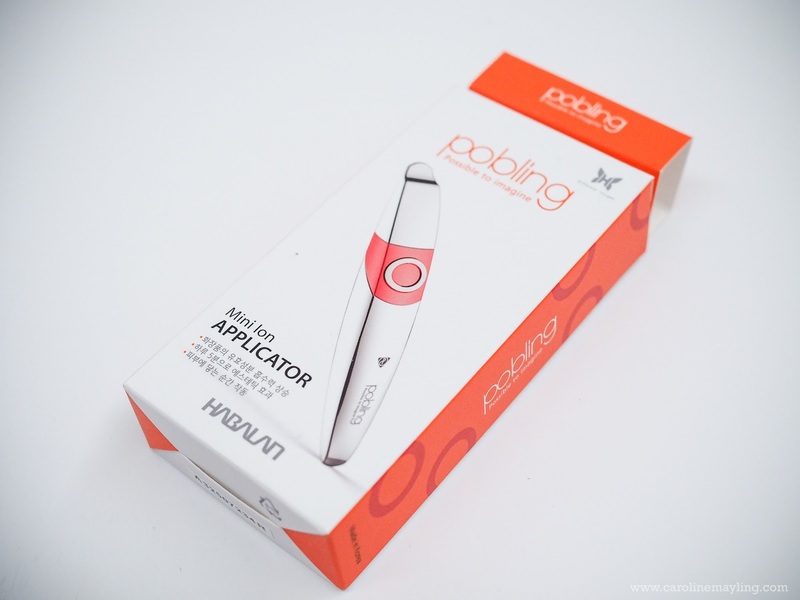 I used to have a similar tool like this Pobling Mini Ion Applicator, but I guessed I've lost it somewhere. 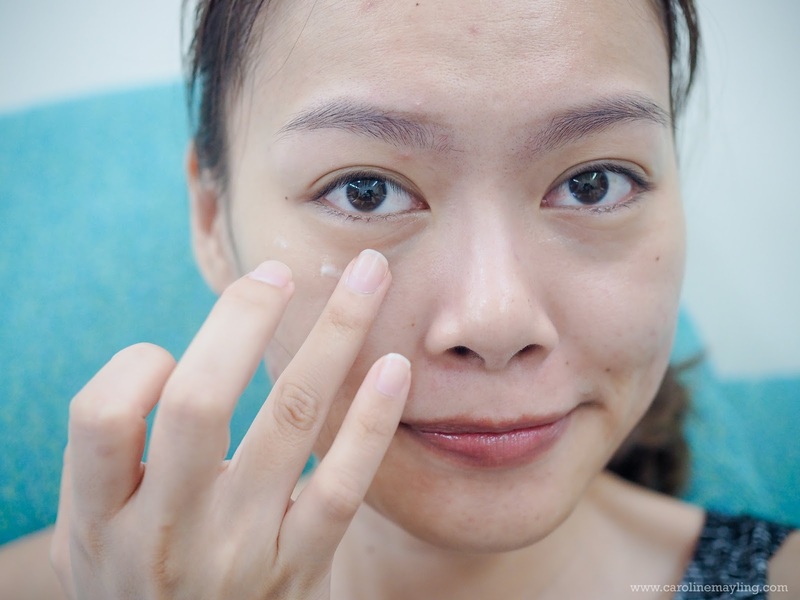 I remember the joy of applying eye cream on my eyes area was a breeze and I have nothing to worry if my hand pressure is too much that will cause wrinkles and fine lines. I am so glad that I can now continue my routine with this amazing tool again! The Pobling Mini Ion Applicator is made in Korea and is the first of its kind. With Galvanic Ion that uses the principle of ionization with the nature of same poles pushing each other, the applicator vibrates gently to help deliver cosmetic nutrients deep into the skin effectively. It is more efficient and hygienic than applying skincare products with your bare hands. *Hermo is the first in the market to bring this into Malaysia. 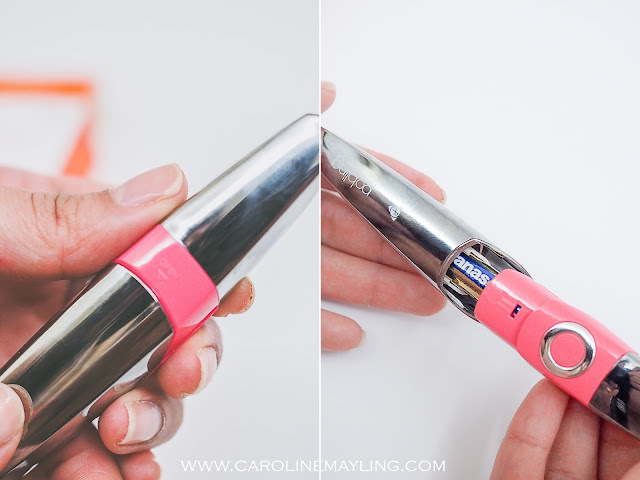 The Pobling Mini Ion Applicator is really lightweight (easy to carry for travel too!) and all you need to do is insert 1xAAA battery (not included in the package) to function it. You can clean it by using tissue or even better, wet tissue. If you're wondering if it is difficult to use this tool, it's actually super easy! All you need to do is apply your skincare evenly on your face (for my case, I only use this on my eye areas). Gently hold the bottom of the applicator with your palm and place the head of the applicator on your skin. The applicator will start vibrating upon contact with the skin. Gently massage your skin with the applicator. The Pobling Mini Ion Applicator ionises the nutrients to help it to be more easily absorbed by the skin. 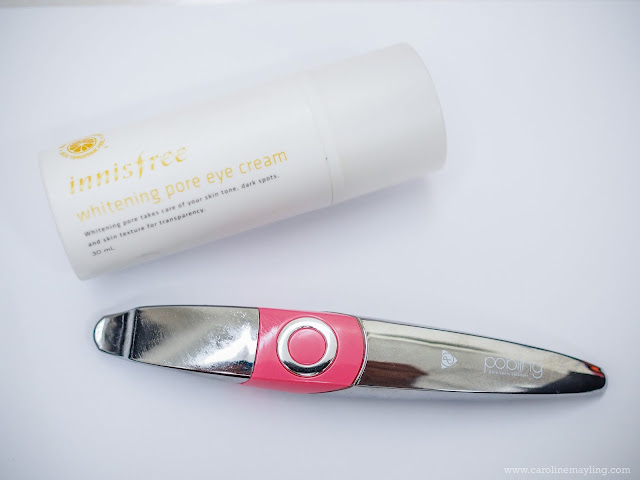 I realized that my eye cream absorbed almost instantly with the help of this applicator without leaving any eye cream residue that might cause clogged pores or oil seed formed around my eyes area. Sometimes, when I feel like giving my face a good massage, I would use this applicator to gently massage my entire face after applied the moisturizer on my face. It feels really good! 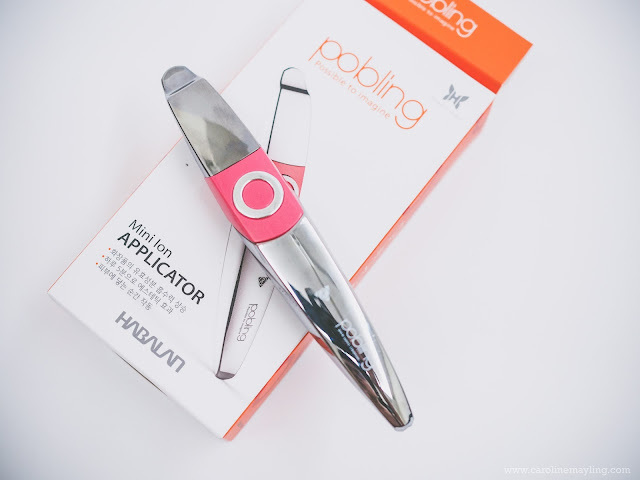 You can purchase the Pobling Mini Ion Applicator at a discounted price on Hermo.my!